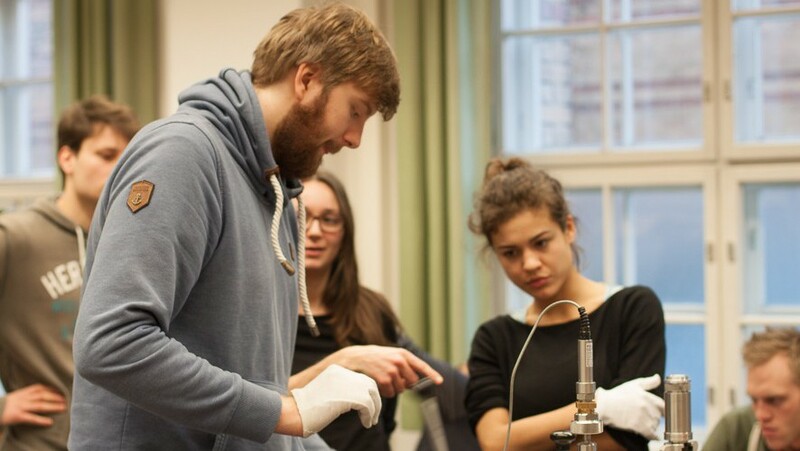 The “Flow Measurement Methods Summer School” will be held this year at TU Berlin for the 2nd time. In addition to last year’s basic course there will be an advanced Flow Measurement course this year. Both courses take place in the week from 10th to 14th of October 2016. The registration for TUB students will be open via ISIS (Basic and Advanced) from 1st of August 2016; the students from the other NWN partners can register through their respective professors. The number of participants is limited – make sure you register in time. For further information please contact the coordination team of the NWN. Each lecture will be accompanied by an exercise in order to make the theoretical knowledge tangible in practice. They will be held by Lars Sætran (NTNU) and Michael Dues (ILA GmbH). On day five an excursion to Physikalisch-Technische Bundesanstalt (PTB) will complete the summer school. A written exam about the topics discussed will take place a few weeks after the summer school. The course “Advanced Measurement Techniques for different Flow Fields” will be held parallel to the basic course. The focus of the lectures lies on current research projects, discussions and exercises concerning flow measurement methods. On day five an excursion to Physikalisch-Technische Bundesanstalt (PTB) will complete the summer school. A written exam about the topics discussed will take place a few weeks after the summer school. The event will take place in cooperation with Technische Universität Berlin (TUB), Cracow University of Technology (CUT), Aalborg University (AAU), Norwegian University of Science and Technology (NTNU), Beuth University of Applied Sciences, Hochschule für Technik und Wirtschaft (HTW), Physikalisch-Technische Bundesanstalt (PTB) and Intelligent Laser Applications (ILA) GmbH.